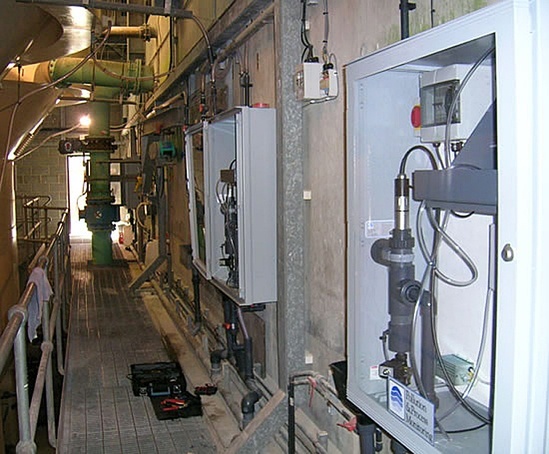 Sutton & East Surrey Water approached PPM to supply a suitable turbidity monitoring system to replace the existing equipment at the Kenley WTW. Temporary hardness is removed by increasing the pH of the water and precipitating the hardness onto silver-sand particles to form small pellets of calcium carbonate. However, this also coats the hardness onto the instrument that is used to monitor the process, and it is essential that the chemical precipitation does not obscure the sensor that is used for turbidity measurement. PPM devised a turbidity monitor that automatically cleans the sensor. 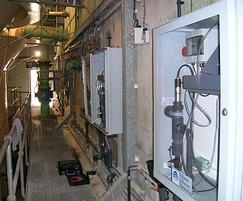 The instrument initiates an automatic chemical cleaning cycle by freezing signals and introducing the acid cleaning solution at a user selected interval, which can be adjusted according to site conditions. This design was also implemented in other locations at Kenley WTW, as well as at the Elmer WTW. A further eight of these systems were commissioned, reducing maintenance requirements and providing reliable turbidity results.